Clocking in at just three millimeters at their smallest, the common mosquito, even tinier than the tsetse fly, ranks as the second most dangerous on our list due to the sheer amount of deaths each year attributed to the various pathogens carried by several of the more than 3,000 species around the world. Found in every region on the planet except Antarctica, the irritating insects—primarily those from the genera Aedes, Anopheles, and Culex—are the primary vectors of diseases such as malaria, Chikungunya, encephalitis, elephantiasis, yellow fever, dengue fever, West Nile virus, and the Zika virus, which collectively afflict an estimated 700 million and kill roughly 725,000 people each year. 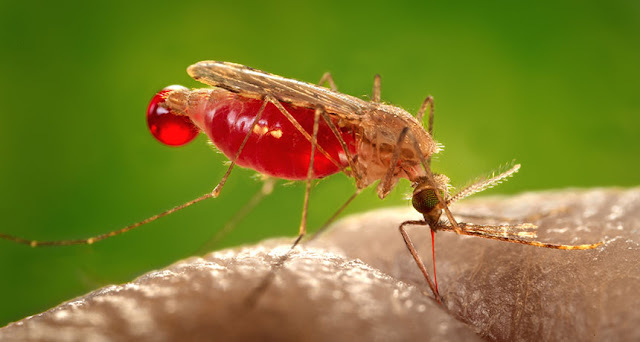 As the World Health Organization notes, more than half of the human population is currently at risk from mosquito-borne diseases. Given that the pests are attracted to our body temperatures and the CO2 we exhale, our best tools to prevent infection lie in the usage of insect repellents high in active ingredients like DEET and picaridin.